Operating and maintaining a school has never been an easy task. However, in the current climate of austerity and cutbacks in funding, it’s even more difficult. And as a consequence, it’s almost impossible to create funds for musical instruments. It’s crucial that local community support is there to assist our local educational institutions. 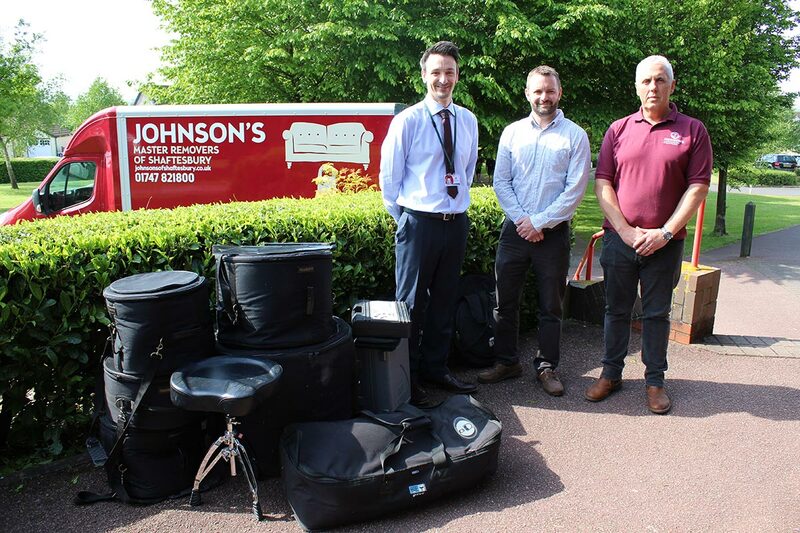 The Johnson’s team recently donated a brand-new Pearl drumkit to the Gillingham School’s Music Department. 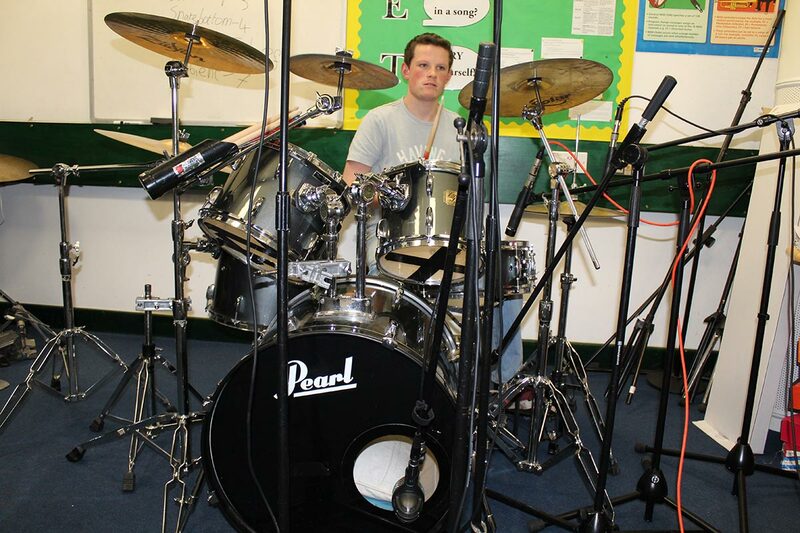 Their A-level students now have the opportunity to learn and practise a new instrument. And the prospect that could open new possibilities for their future studies or careers. This not only increases the scope of their education but can benefit the students’ well-being and school engagement. 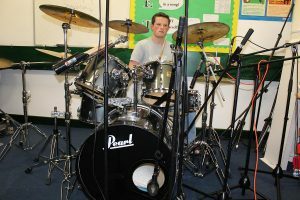 The donation also increases the ability of the Music Department to provide a holistic level of music education. And the Johnson’s team know from experience that the more options that are available can create positive results. No matter what your current situation is, it’s always possible to give back to your local community. And it doesn’t need to be a financial donation, as we’re all going through the same difficult economic situation. It’s as easy as looking around your home to see if you have things to don’t use anymore. If you do some decluttering, you can then make donations to your local charities. And if you don’t have a vehicle, many of them are able to collect from you. Alternatively, if you have any boxes with items in, we will take them to our local charity for you. We also accept any donations of things in from storage units that are no longer wanted. Please note that we can’t accept furniture due to the size but we will gladly take donations in boxes. It’s also an excellent idea if you can organise donation drives and events for your local schools and other worthy institutions or causes. If they have music, arts or sports department, you could appeal to your family and friends for specific donations of instruments and gear. Johnson’s has been operating in Dorset since 1855, and we’re proud to call it our home. During this time, we have made it our priority to provide the best removals and storage possible. And it’s crucial that we also make our prices affordable so that our community can benefit from our services. The Johnson’s team believe in working with and giving back to our community. It benefits everyone when we can all make progress and live the best lives possible. And by donating musical instruments to our local school, we are planting a seed that could open new opportunities for our young adults. If you’re relocating to Dorset and you’re doing some online research, contact us early, and we can assist you. Our friendly staff are always available to chat about our range of services, as well as sharing information about the area. We cover the whole of Dorset, and we can arrange any removals job in the UK. If you would like to discuss our range of services, please contact us today. We are also available to receive any boxes of items for charitable donations.